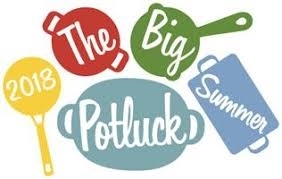 Join us this Sunday, June 3, for Summer's first potluck. Bring a favorite Summertime dish to share, or if you need a new idea - click here! We'll celebrate the changing season. We will gather on the Sun Porch at 11:15 a.m. after Holy Communion at 10:00a.m. - following feast with feast!